Seppeltsfield’s redeveloped c1900 Cellar Door and new restaurant, FINO at Seppeltsfield, have been officially opened by South Australian Premier The Hon Jay Weatherill MP, in what has been celebrated as one of the Barossa’s most significant gastronomic tourism endeavours in recent history. 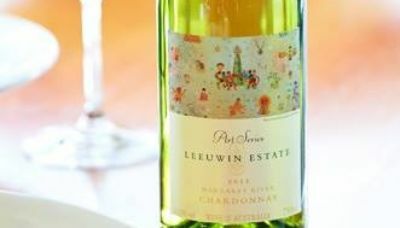 At a launch event on Friday 21st November, the 3 million dollar Cellar Door project was unveiled to the wide acclaim and enthusiasm of over 500 guests, which included State MPs, Federal Senators, local councillors, South Australian business leaders and Barossa food & wine identities. Following a Welcome to Country by representatives of Ngadjuri traditional land owners, an official ribbon cutting by the Premier took place and commenced a night of much verve, ceremony and multi-cultural entertainment. Amongst the evening’s highlights, emceed by media personality Merrick Watts, were performances by the Barossa’s Marananga Brass Brand, Scottish Pipers, German dancers and Spanish Flamenco, with the night’s end culminating in an impressive fireworks display to Coldplay’s ‘Paradise’. The new Seppeltsfield terraced courtyard hosted the opening’s official proceedings. With the design led by landscape architect Brenton Hann, seven Canary Island palm tree transplants, bluestone terraces, sandstone promenades and a large water feature have been sympathetically added to the surroundings, making for a dramatic sense of arrival to the estate. Further elements of detail include Romanesque-inspired walling (matched to established Seppeltsfield architecture), Barossa marble aggregate pavers and eclectic lighting, completing the new courtyard which will also feature as an alfresco dining terrace for FINO restaurant. In his speech, Seppeltsfield Managing Director Warren Randall referenced the Seppelt family’s legacy and how Seppeltsfield was “now back to where she belongs, as Australia’s iconic wine estate”. He went on to credit the many Barossa tradespeople and artisans involved, referencing how a “passionate buy-in” had been achieved, with those involved going beyond the regular call of duty to deliver the project on time. Expansive works to the heritage-listed Seppeltsfield Cellar Door - originally a Seppelt wine bottling hall - were revealed on the night. This includes a world-class tasting room interior centred on a ‘POD’ concept, whereby individual wine educators are located in 4 circular service alcoves, designed by renowned architect Max Pritchard. A VIP mezzanine lounge is also part of the structural additions. Throughout the Cellar Door, repurposing of Mintaro slate, most of which from Seppeltsfield’s 1888 gravity Cellar, has been expertly entwined to the original bottling hall architecture. Highlighted as wall features, fire place surrounds and stair treads, the slate has been complemented by Bluestone, ornate brick window arching and priceless Oregon and Jarrah timbers, all of which have been exposed after decades hidden under an inherited paint scheme. Abutting the new Cellar Door and in a coup for the Barossa’s burgeoning culinary scene is FINO At Seppeltsfield - David Swain and Sharon Romeo’s new restaurant undertaking, as a complement to their original (and highly awarded) Willunga venue. 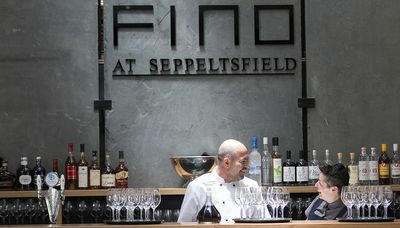 FINO At Seppeltsfield is a substantial increase to their Willunga foot-print, boasting four dining zones and a 140 seat capacity, yet brings a similar concentration on progressive regional cuisine where local produce is unashamedly left to shine without over-manipulation. An ethos which head chef, Sam Smith, has been guided by David Swain closely on - the pair already forming a number of Barossa produce relationships including the Angas family’s Hutton Vale Lamb and SchuAm Berkshire Pork of Freeling. The dining locales include the outdoor terrace where Parisian furniture is shaded by palm trees, a glass by fold enclosed room in eye line of the open kitchen and Cellar 1 - a tunnel-like laneway no doubt to become one of the venue’s most popular spaces. Here, 1860s wine blending tanks have been hollowed out, to enable diners to sit under Seppeltsfield’s famed Centennial Cellar, which holds every barrel of Tawny (Port) from 1878 to current year. Having an already established presence at Seppeltsfield (2013), JamFactory, South Australia’s contemporary art and design studio, have been weaved into FINO’s ambience, with table furniture and ceramic table ware commissioned especially for the restaurant. It is no wonder that FINO at Seppeltsfield is the most anticipated regional dining and hospitality experience of this decade and why Seppeltsfield’s redeveloped Cellar Door must be on the travel list for all epicureans.